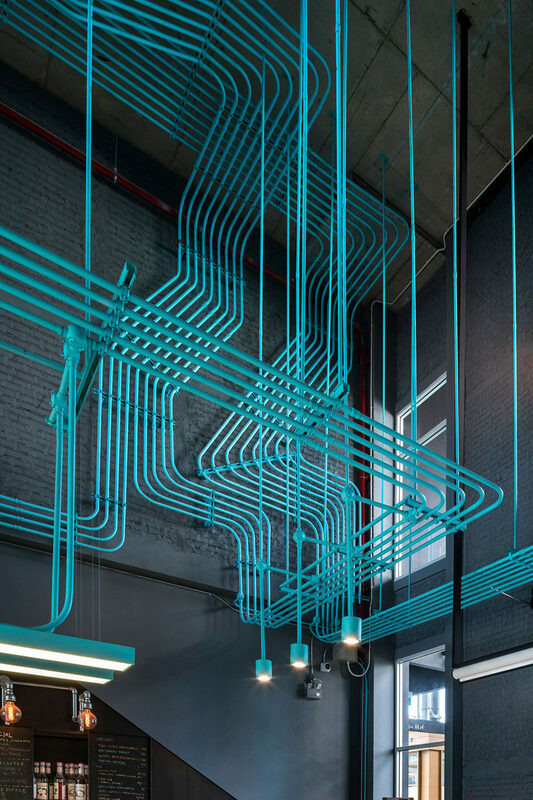 Normally electrical conduit is kept hidden in an interior, it isn’t nice to look at and doesn’t really add anything to a space, but when made into a feature, like with this project, you can’t help but look around and follow the lines. 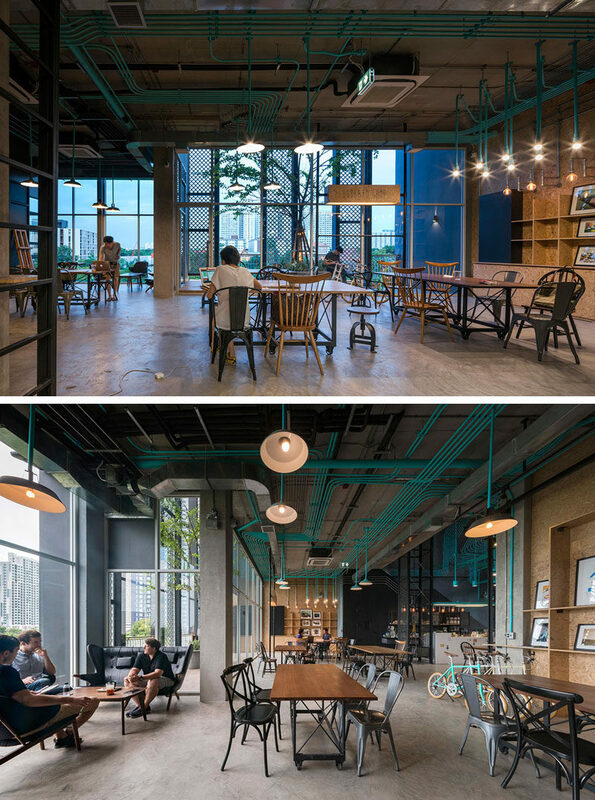 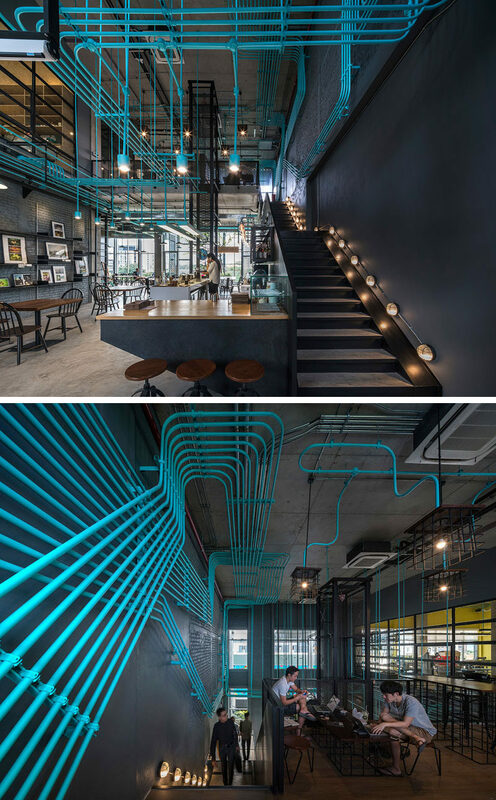 Designed by Supermachine Studio together with developer Sansiri, this co-working and artisan space in Bangkok, Thailand, is full of color after the designers chose to highlight the conduit pipes by painting them a bright turquoise. 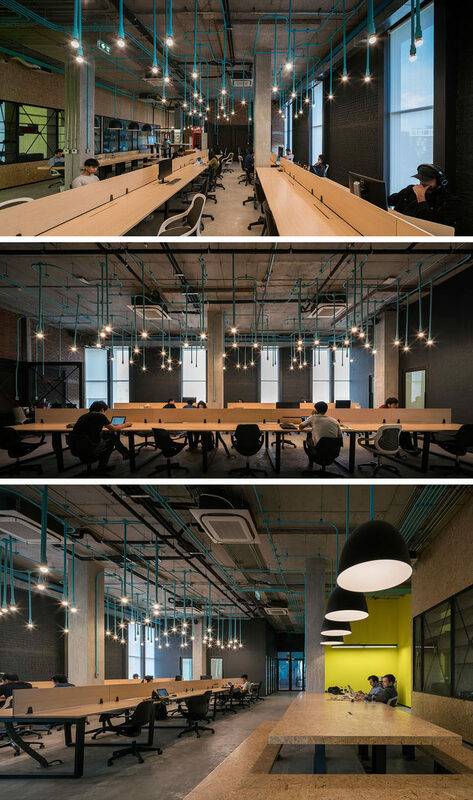 The designers aimed to emphasize the conduits and even added more into the space to create an even bigger dramatic impact. 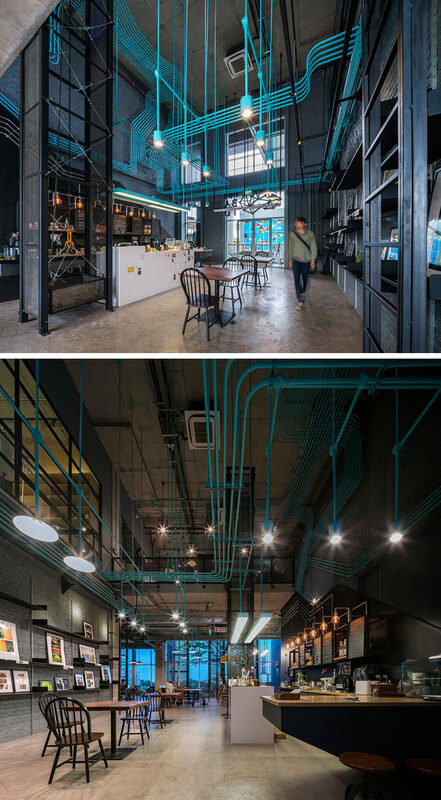 Throughout the space, the highly organized pipes line the walls and drop down to transform into lighting fixtures. 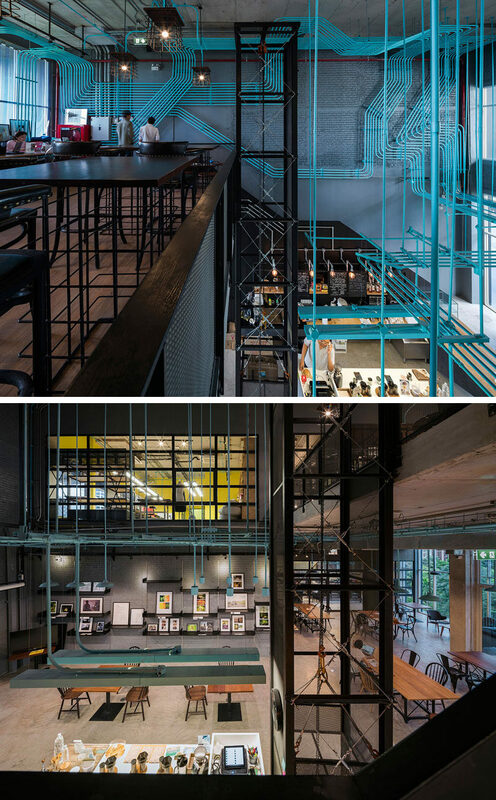 You can really see the extent of the pipes when looking down to the floor below from the upper level. 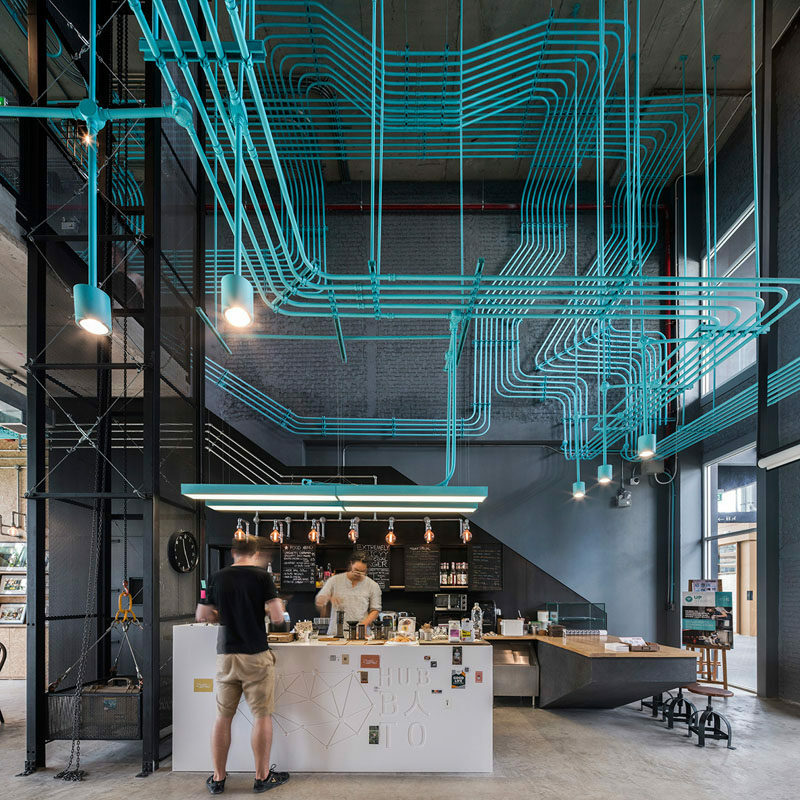 In the work area, light bulbs drop down from the conduit for a look that’s more like an artistic light installation than just functional lighting. 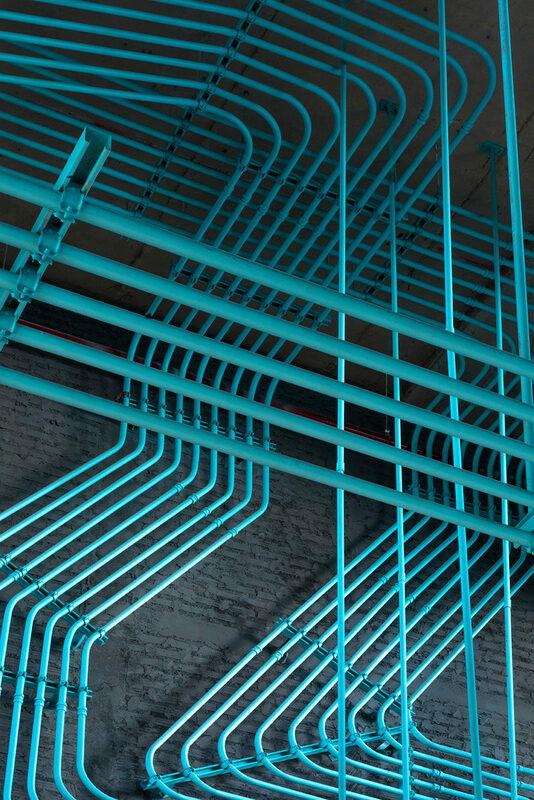 Here’s a close-up look so you can see just how organised all of the pipes are. 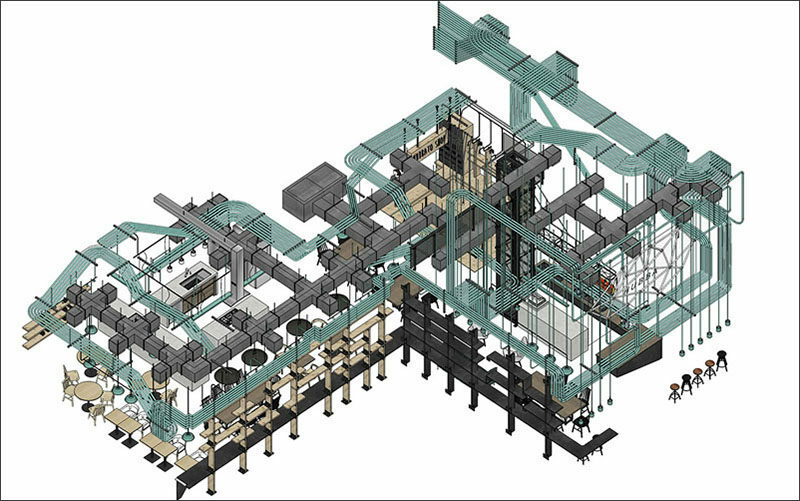 If you’re interested in the total layout, here’s the plan from the designers.